Green Stream’s IoT solution is designed for installation into complex, hard-to-reach or hard-to-cover regions. Semtech Corporation, announced that Green Stream, a leading environmental technologies firm helping to build safer, more resilient communities through the power of smart technology, has incorporated Semtech’s LoRa Technology and Senet’s LoRaWAN™-based network into its autonomous flood sensor systems for use in coastal areas, including towns and cities. “In many coastal towns and communities, rising water as a result of tides or rain can present a large threat,” said Jim Gray, CEO of Green Stream. Green Stream’s solutions utilize LoRa Technology, a proven technology leader used in IoT environmental solutions. Green Stream’s end-to-end flood monitoring solutions are designed using commercial, off-the-shelf ultrasonic sensors and easy-to-deploy LoRa-enabled gateways. The data is communicated over a LoRaWAN-based network provided by Senet, a leading provider of Cloud-based LoRaWAN services platforms that enable the on-demand build out and management of IoT connectivity. The Green Stream LoRa-based flood sensors are autonomous, requiring no external power or wired network connection. Each sensor is a self-contained, weather-proof, solar-powered unit that comes with a universal mounting bracket and extension arm. These sensors are small enough to be installed on top of crosswalks, light or electric poles, and bridges. The rugged sensor gateway is positioned above a body of water or over dry land. Visit Semtech at the LoRa Alliance booth, South Hall, 2524, at Mobile World Congress Americas to learn more about LoRa Technology. 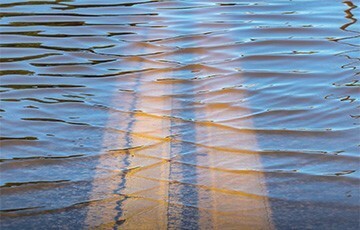 The post Semtech’s LoRa Technology and Senet’s Network Leveraged in Flood Sensors to Monitor Water Levels appeared first on IoT Business News.